Trivalent gadolinium (Gd3+) activated CaY2Al4SiO12 garnet compounds with a variable concentration of Gd3+ ions were synthesized by a sol–gel method. The synthesized garnet compounds were characterized for their structural, morphological, luminescent, and magnetic properties. The x-ray diffraction data of Gd3+ activated CaY2Al4SiO12 garnet compound reveal the cubic structure with Ia3d space group. The scanning electron microscope images represent the morphology of the particles. The photoluminescence properties were analyzed from the excitation and emission spectra. The emission spectra of the CaY2Al4SiO12:Gd3+ garnet compound under 273 nm excitation exhibit two emission peaks at (308 nm and 314 nm) nm and are attributed to 6P5/2 → 8S7/2 and 6P7/2 → 8S7/2 transitions, respectively. The emission peak observed at 314 nm is more intense than the peak observed at 308 nm. The high-intensity peak at 314 nm is used to cure various skin disorders, and hence is beneficial in phototherapy. The intensity of the emission peaks increases up to 0.09 mol of Gd3+ ion concentration in the CaY2Al4SiO12 garnet compound, and beyond, then decreases, showing concentration quenching. 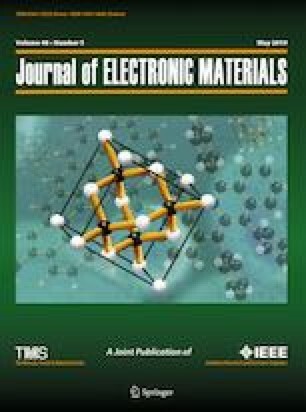 The electron paramagnetic resonance of Gd3+ ions in the prepared garnet compound exhibits resonance signals with effective g values at g ≈ 6.5, 5.0, 2.6, 2.2, 2.0, and 1.6 of the U-spectrum, due to cubic, octahedral, or tetrahedral distorted sites. This work was supported by the National Research Foundation of Korea (NRF) Grant funded by the Korea Government (MSIT) (2018M2B2A9	065656).